Garlic Scapes??? They look beautiful but unfortunately not so digestible for this Farmgirl!! Really?? Is this a garlic flower? 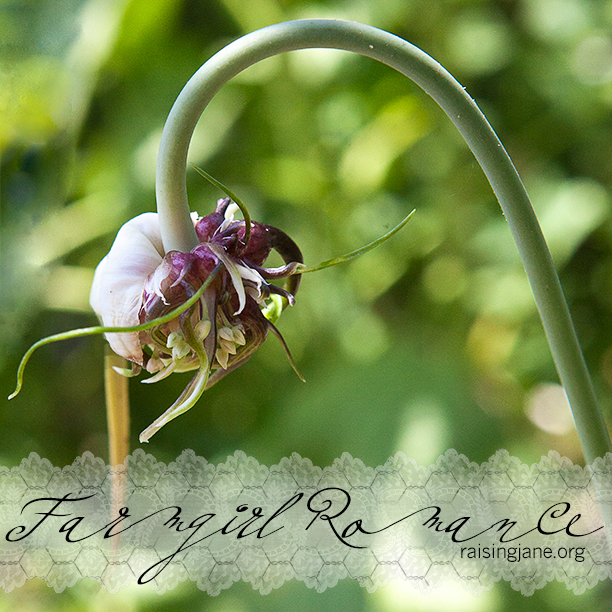 I just used some garlic scapes in my stir fry tonight–YUMMY!